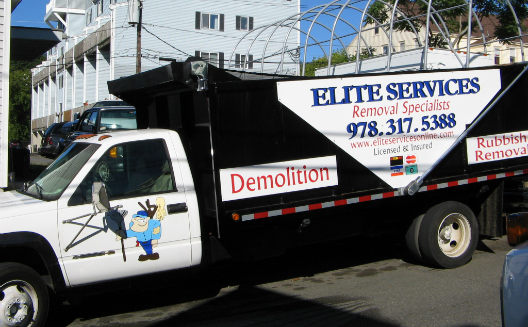 What is Elite Services Junk Removal & Demolition? 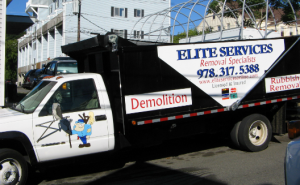 Elite Services Junk Removal & Demolition is a small, locally-owned and operated junk removal and demolition business committed to keep as much out of the landfills as possible. We are fully certified and insured to handle any junk removal or demolition project. We recycle and reuse as much junk and collected materials as possible. We take and recycle all kinds of scrap metal, kitchen appliances and televisions, construction debris, plastic, glass, cardboard and wood, household furniture, and more! Yes, we are fully licensed and insured and have multiple certifications. All of the junk and materials from demolitions we collect are all recycled and reused. If for some reason they are not, we make sure to dispose of them through the proper channels to reduce extra waste in landfills. We accept all forms of payment – cash, all major credit cards, and checks.